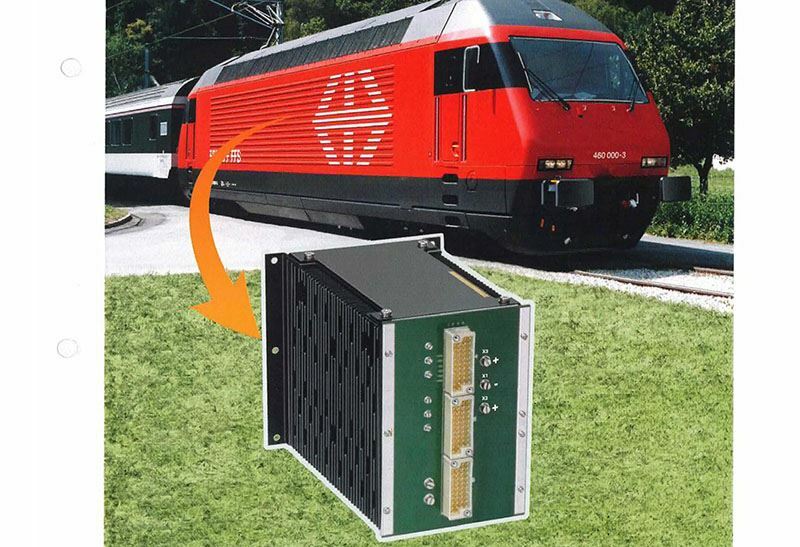 The central square-wave power supplies belongs to the family of DC/AC converters without galvanic isolation. They are available for nominal input voltages of 24 to 110 V and are suitable, among other things, for supplying power to GTO drive units (Gate-Units). The output voltage is a square-wave (f = 16 kHz) voltage of ± 48 V. Depending on the model selected, these units pro vides a power output of 500 W or 1000 W.
The power from the supply (the vehicle battery) is introduced to the intermediate d.c. link circuit across a step-up or a step-down chopper, and from there to the output across a full-bridge inverter. All units also contains extensive monitoring and test equipments. No unit is released for delivery until after it individually has passed numerous tests and inspections, including a burn-in lasting several days, thereby ensuring consistent excellence of the units.